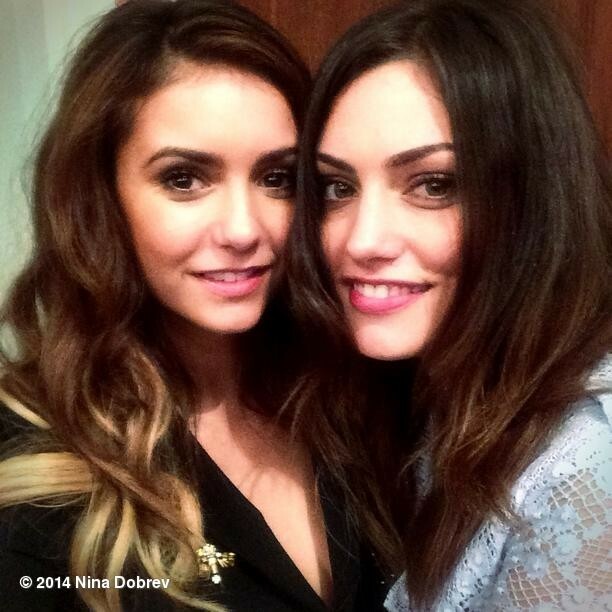 Nina & Phoebe - Instagram. . Wallpaper and background images in the Nina Dobrev club tagged: photo nina dobrev 2014 instagram cw upfronts phoebe tonkin. This Nina Dobrev photo contains portret, headshot, and close-up.